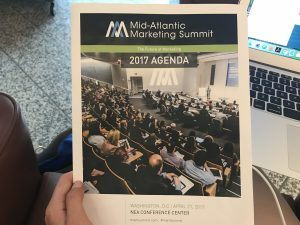 Thinking > CATEGORY > Orange Element Thinking > Mid-Atlantic Marketing Summit 2017: What Did You Miss? For its sixth year, respected news organizations Capitol Communicator and Potomac Tech Wire co-produced the Mid-Atlantic Marketing Summit held in Washington, D.C. The conference featured leaders from top and emerging companies, including some of the sharpest marketing and communication minds in the region. Organizations of all shapes and sizes filled the room this past Friday, from PEW Research Center to the Washington Post to UrbanStems. This spring’s installation covered a range of topics including metrics and ROI, social media, marketing automation, online video campaigns, and more. Didn’t have a chance to go? Don’t worry—below are a few key insights I scribbled into my notebook to take back with me to Baltimore. Put the story first. While there are new platforms and technology launching all the time, it’s important to determine what your story is before deciding how it will be delivered. Medium follows message. Transport the audience. Take them inside the story. Be original. Use third party data that no one else has. Socialize your content. Eighty to ninety percent of the Washington Post’s video views are from their social media platforms—not publisher sites. This stat proves social media is an important ingredient in sharing your story and understanding where your readers are actually consuming your media. Get personal. Annie saw this tip as a prediction of the future of content. 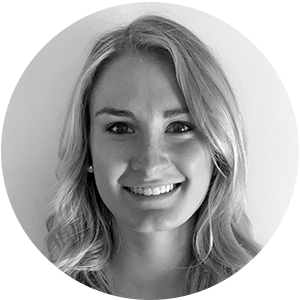 She believes there’s a way to personalize content for the individual based on their preferences. This individualized content can provide unique experiences for everyone (for instance, one person may be greeted with a video first while another user gets an infographic for the same story). Social Media Trends in 2017 – a panel with RP3 Agency, Social Driver, Social Tables, and SpeakerBox Communications. This panel covered everything from industry trends to overhyped tactics. The group agreed: it’s important to bring the power back to the people when it comes to marketing. Brand advocates and peer recommendations account for forty percent of purchasing decisions. Another important takeaway: merge social media with other marketing tactics in your sales funnel—don’t rely on it as the only way to generate conversions. This panel also echoed Annie’s keynote presentation by warning marketers to avoid “shiny object syndrome.” Just because a hot new social media feature has launched, doesn’t mean it’s right for your business. It must provide value to your brand. Email Marketing: What’s Working in 2017 – a panel with CustomInk, Bozzuto, VideoBlocks, Jellyfish, and GreenSmith Public Affairs. Email marketing is all about balancing the right time to send an email versus what’s trending in the world already. Email is extremely data-driven, with opportunities to segment audiences based on preferences, location, buying behavior, retargeting, and more. The panel urged us marketers to use email as a testing channel. What offer will stick? Where are people clicking? 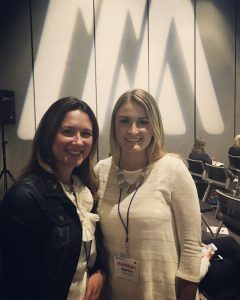 COO Caroline and content developer Hannah attending the Mid-Atlantic Marketing Summit. Another important takeaway to consider “mass customization.” In the B2C world, it’s easy to include sections in your emails that are suggestions like “If you like this, we think you’ll like this.” Not only are you establishing another avenue for more site traffic, but you’re providing customers with thoughtful, personalized suggestions that will make them feel special—and hopefully buy more. SEO in 2017: What Marketers Need to Know – a panel with Go Fish Digital, RepEquity, Silverback Strategies, and Potomac Tech Wire. Remember: what’s good for the user is good for Google. Sadly, I couldn’t attend every presentation or panel, so there are discussions and topics I did miss. If you attended the Mid-Atlantic Marketing Summit and have additional information you learned, please share with us! Learn how to strengthen your marketing strategy through publications with our free whitepaper. Enter your information below to receive it in your inbox shortly.